Today has been a little trying. Things are not going as planned and I am way, way behind schedule. The house is a mess, the kids are out of control and the hubs won’t do what I say, (who does he think he is, anyway?). To top it all off, I couldn’t find the pictures for the recipe I was going to post today and being me, I didn’t have a back up plan. I was pretty much ready to just call it a day when the kids decided they needed a snack, like right now. When I am strapped for time and need to shove something in front of the kids in a hurry, I make smoothies. They love them because they are tasty and I love them because the are easy to prepare and good for them. 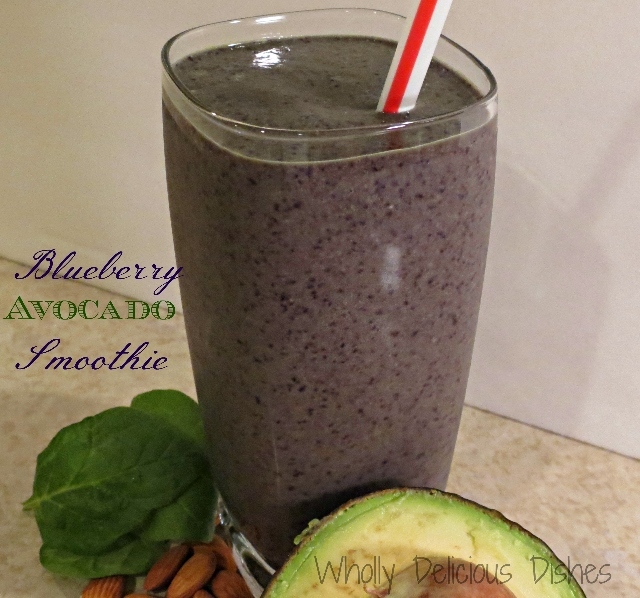 So, I made these Blueberry Avocado Smoothies. They saved the day in more ways than one. Now, I love me a green smoothie but sometimes I’m just not in the mood. Besides, I had to use up some blueberries and my avocado was on it’s way out so, there you go. You know what is super fantastic about these smoothies? They only have 5 ingredients. Uh huh, 5. 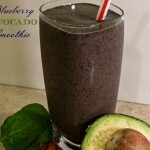 Blueberries, avocado, spinach, almonds and almond milk. You know what else is super fantastic? Everything goes in the blender and the only cutting you will do is slicing the avocado in half. A definite plus when you are having a not so great day. 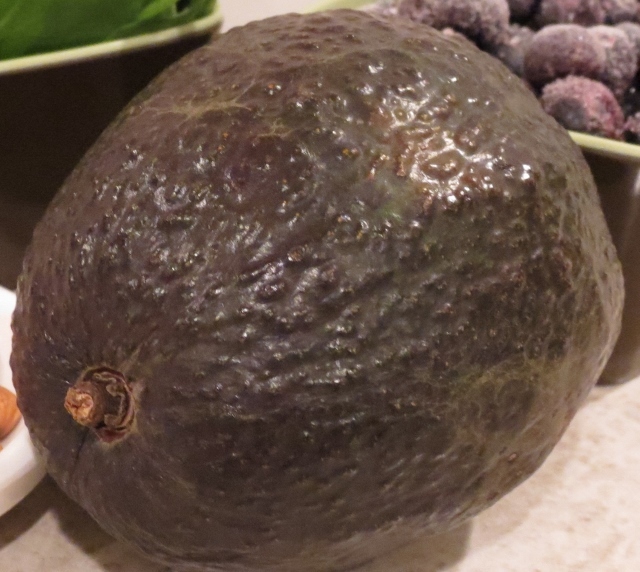 Need a good reason to add avocado to your smoothie? Avocados are delicious and for less obvious reasons, pretty darned good for you, too. While they are high in fat, it is mostly monounsaturated fat so it will help keep your heart ticking away. They are an excellent source of potassium, a mineral that helps keep our kidneys, nervous system and muscles healthy. One avocado has twice as much potassium as one banana. Eating an avocado will help your body absorb the nutrients from the food you are eating it with. They contain vitamin E to destroy free radicals, among other benefits you can read about here. And of course, fiber, a whopping 6 grams! I hardly every use bananas in my smoothies, anymore. I always opt for the avocado if I have them on hand. 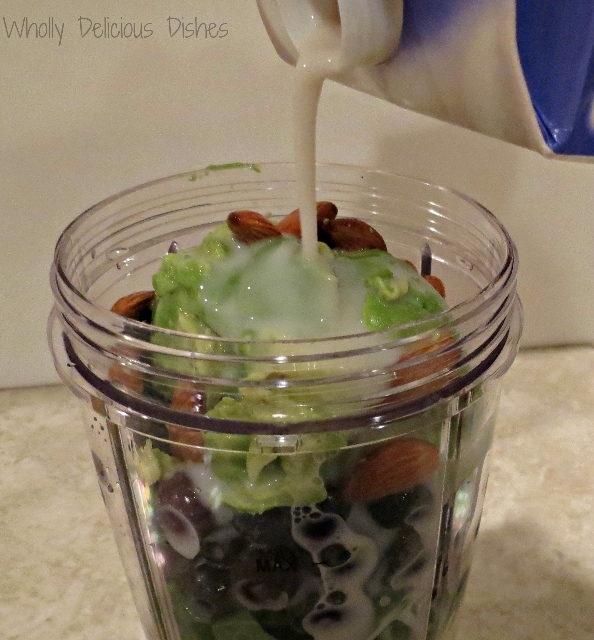 The avocado makes this smoothie creamy and thick and so satisfying. 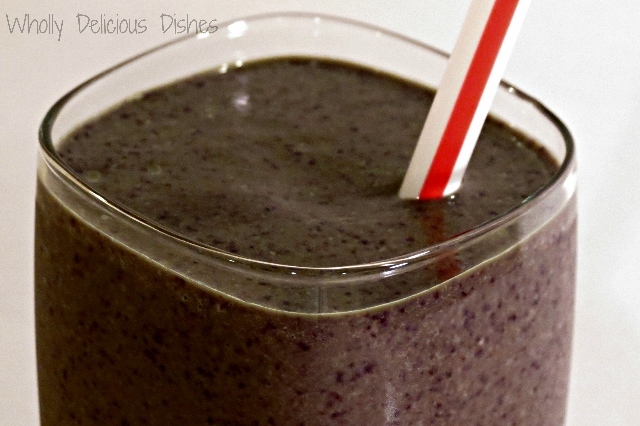 If you are concerned this smoothie is too healthy to taste good, don’t be. I think this picture pretty much sums it up. Maybe it’s not such a bad day, after all. Mac looks like he throughly enjoyed it. I guess I might have to try it! 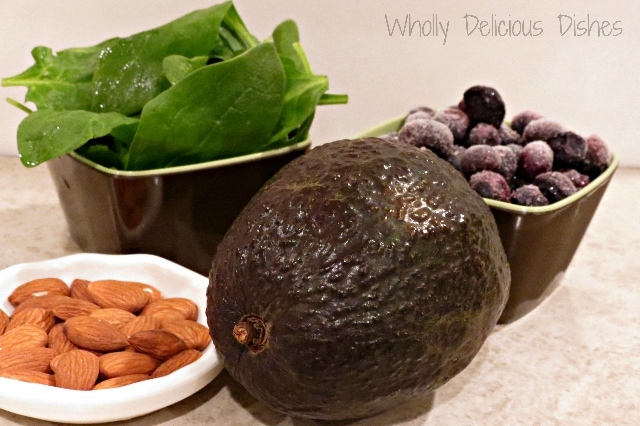 I love adding avocados to everything, but I never thought about my smoothies. Thanks for the awesome idea:-) And I even have 2 ripe ones on my counter!! !